Enjoy Cashback when you book flights from Etihad Airways via ShopBack today! Delicious food delivered to your doorstep in minutes! What is 9.9 Rewards Day? This is an annual ShopBack event that gathers the digital stores in ShopBack into one platform to celebrate the convenience that the innovative e-commerce companies have brought into the modern world. It also works as a way to thank the loyal customers by giving them their well-deserved rewards in the form of special deals and discounts for doing their shopping at ShopBack. For this year's 9.9 Sale celebration, the theme is about "Championing The Smarter Way" focusing on how we spend our everyday lives. 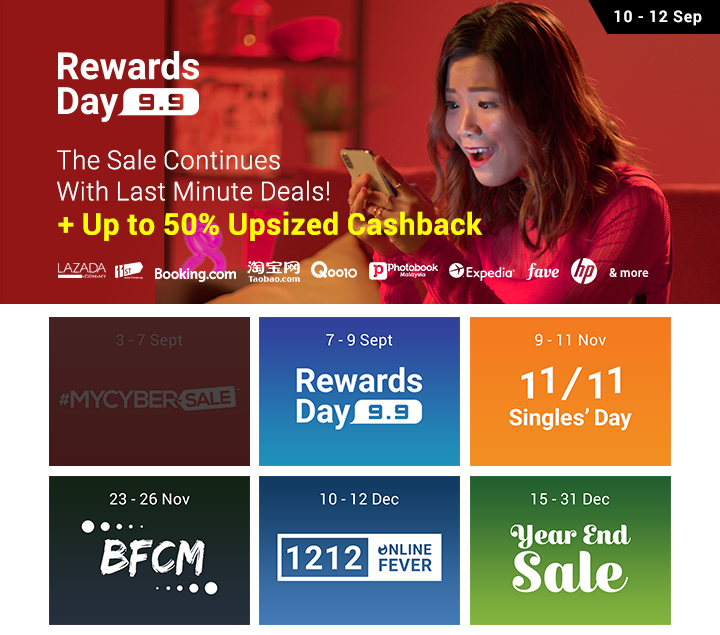 The 9.9 Cashback Day theme showcases the different online stores that had truly marked their name on e-Commerce, the likes of Lazada, Taobao, 11street and of course Shopee. Indeed, ShopBack shoppers are in for a surprise! It's almost a month-long celebration of the smarter way to shop while counting down the days to September 9 where big rewards await. For the tech savvy, ShopBack is advocating the theme "Championing the smarter way to live". It features the most sophisticated IT merchants for home & living, and electronics. It reminds us of the way electronics and gadgets have evolved with the onset of online shopping. Another theme is all about the smarter way to dress. It features everything that has to do with fashion and beauty. It has all the great fashion sales, discounts and coupons plus cashback. Everything has been convenient with online purchasing. Another theme is all about the smarter way to travel. Going from one place to another has become accessible and affordable for all people from all walks of life. It features hotels, flights and packages. Everything from travel deals, promotions, vouchers and cashback will be found here. Another theme is all about the smarter way to eat where there will be food deals, discounts, coupons and cashback for dining, delivery, and groceries. Of course, we end the celebration with a bang with the 9.9 Cashback Day main event. You can earn RM80 for every 4 friends you refer. You can give them instant RM5 and another RM5 as well when they make a purchase. You will get your referral link from the ShopBack page. Just share it with all of your friends via email, Facebook, and your other social media accounts. Your friend uses it to sign up wherein he/she will get RM5. As soon as the first purchase is done, another RM5 will be sent to the friend's account. 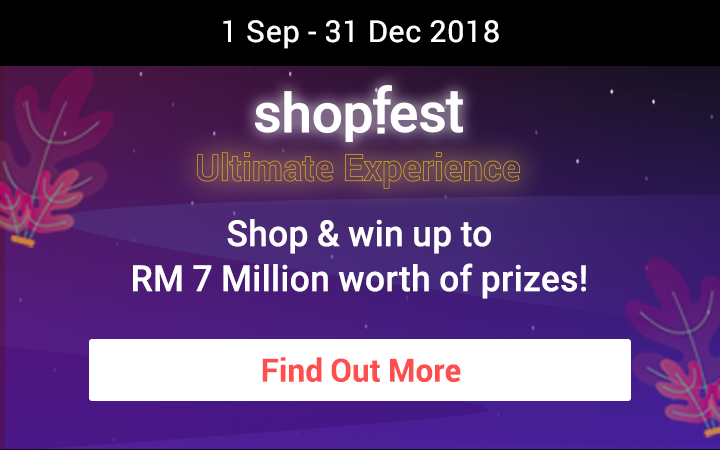 You will also earn RM5 when your referral can spend a minimum of RM25 and when they are able to redeem their cashback. You can monitor your referral earnings and summary on the ShopBack page. The referral will only be deemed successful when your friend's cashback becomes redeemable. This process will get you a bonus of RM80 for every 4 friends that you successfully refer. For a limited time only, you can experience great discounts and get the best 99 deals from 9 of your favorite fashion stores. Here are just some of the examples. You will get 2.0% cashback from Zalora promo code along with 70% off plus extra 20% when you buy a minimum of 2 items. There is an additional 13% off when you use the 99 promo code "8CITED." There will also be up to 70% discount sale from ASOS and final clearance sale with 4.0% cashback. This is definitely your one stop shop for your fashion and style destination. Charles & Keith will be having free shipping for 2 items or more, plus up to 4.5 cashback. Choose from the array of 99 discounts and promos from your favorite brands to wear. Fill your closet with the summer collection from these great 99 deals. You can choose from 13 of your favorite travel stores for their limited time offerings. Think 30% off on business and economy flights from Malaysia Airlines promotions plus up to 2.0% cashback! Hotels.com has a last minute deals up to 50% discount and 6.0% cashback when you book your accommodation. 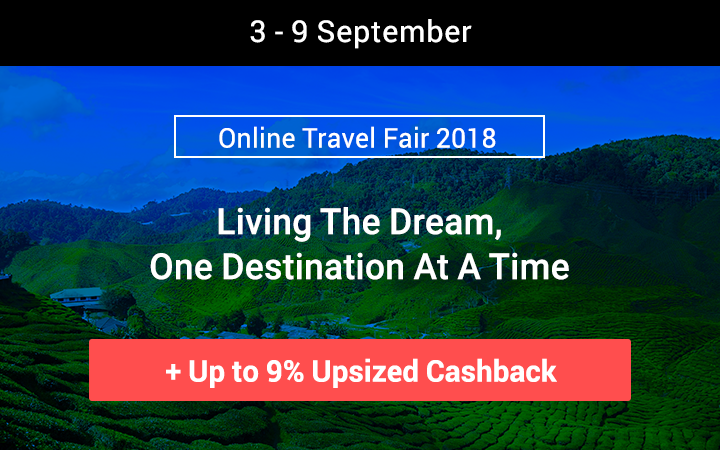 You can also get hotel deals for as low as RM199 or less from Expedia plus up to 9.0% upsized cashback. Aside from these, you can choose from travel packages, hotels, flights and rides, as well as enjoy using items from the top 12 travel brands. If food is what you're looking for in this big celebration, worry not! You can enjoy up to 4% cashback when you try having your groceries delivered to your doorstep by honestbee. For food choices, you can choose from 4 of the featured stores such as Hungry Go Where with RM10 cashback or Cat & the Fiddle with 6.0% cashback. You can also enjoy 5.0% cashback from PappaRich or RM3 cashback from Foodpanda voucher. There are also cash vouchers you can check out, as well as dining reservations with cashback. From August 14 to August 18, you can enjoy the biggest 99 deals from the IT Fair. You can choose from the 8 featured stores and their discounted offerings. Lazada has deals of up to 90% off with up to 11.0% cashback. 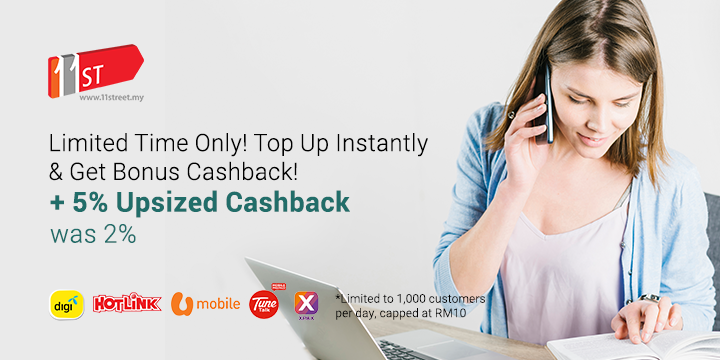 Senheng is giving away 4% upsized cashback until August 31. Enjoy up to 40% discount on gadgets, electronics and accessories from GearBest plus 1.0% cashback. You can get a freebie or shopping vouchers up to RM350 when you buy something from HP with up to 12.0% cashback. 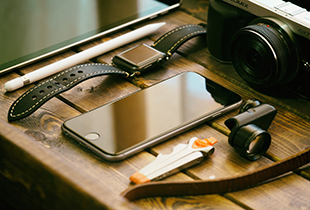 Aside from these examples, you can also shop for specific items with promo codes and choose among the 11 top brands in electronics and gadgets. Knowing the schedule of the 99 sale, plan the days when you want to shop for a specific item. 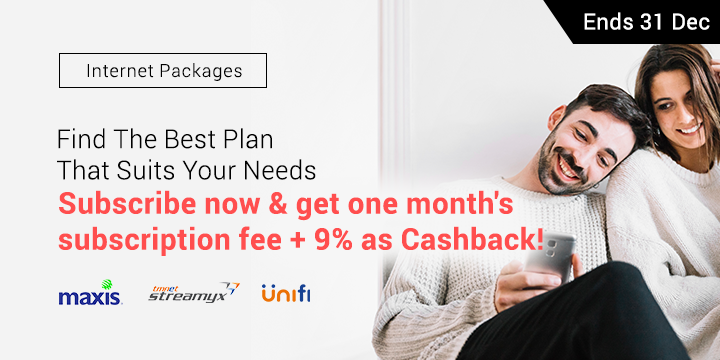 The pre-99 sale schedule will give you more time to think about what to avail on the day of the Cashback Day itself. Start browsing on the featured shops for your selected days to do your online shopping. Pick the items you would like to purchase and wait for the 9.9 Cashback Day to avail of the huge discounts. Don't miss out on the chance for a huge cashback.